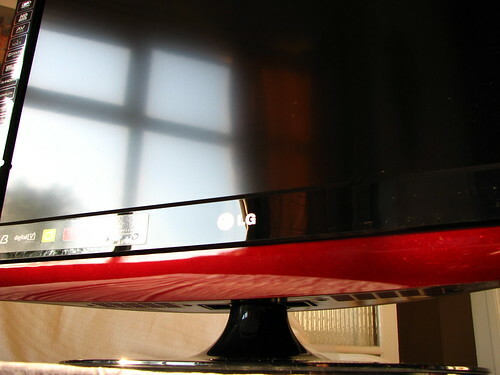 I remember when I bought my first LCD TV set, it was from LG and it cost a whopping £750 at the time. Whilst this was several years ago when even small screen sets cost considerably more than what you can pick them up for today, it has withstood the test of time. Today, you can pick up the same size screen at half the price. 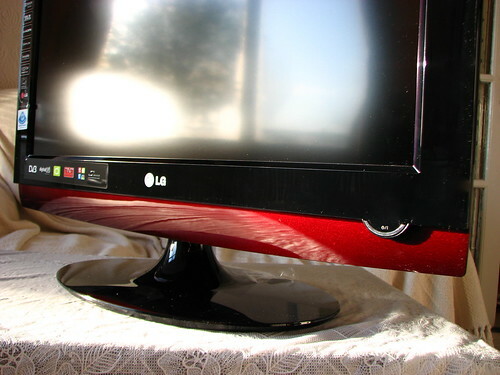 I spent a month with the LG 26LG4000 ‘Scarlet Red’ Digital LCD TV. It ticks all of the usual boxes with full 720P playback and 1080i upscaling, three HDMI ports, S-Video, Composite Video, Component, two Scarts, and a VGA port. 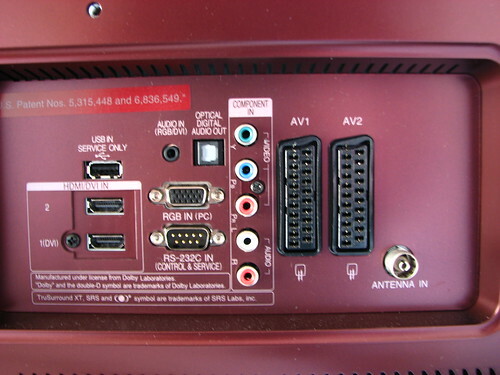 For audio connectivity, there’s an optical out connection, 3.5 mm in/out and RCA audio. As part of the Scarlet range of LG sets, which was launched with a teaser trailer that confused the world. The promotional feature was cleverly disguised as a trailer for a new TV show that looked quite promising. However, it was actually a clever ploy by the LG marketing team to get people talking about the new LG TV set. 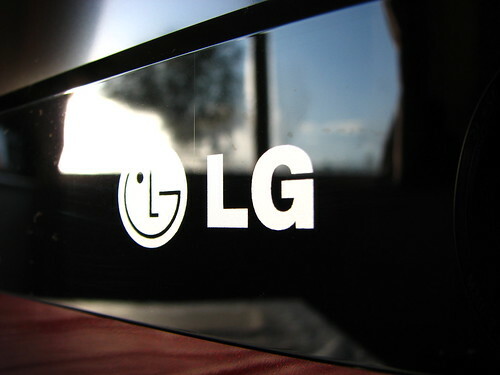 I won’t say whether that worked or not but what did stand out is the striking design of the new range of LCD’s from LG. They follow their established design style that was set a few years ago only more refined. The speakers are hidden and the minimalist exterior hides the plethora of connection options that are available on the side and back of the unit. Choosing to stick with the glossy finish, the entire front fascia is decked out in a hard-to-keep-clean shiny plastic material. The quality of the material they’ve used to construct the set is of a high standard and the LED power button adds a nice touch to the minimalist design. The bar of scarlet red that stretches across the bottom of the unit, is a nice contrasting touch to the overall design. This is opposite to the typical design direction that LCD manufacturers have gone with – the all glossy black finish. What you won’t expect from this 26-inch TV is the built-in DVD player around the back. 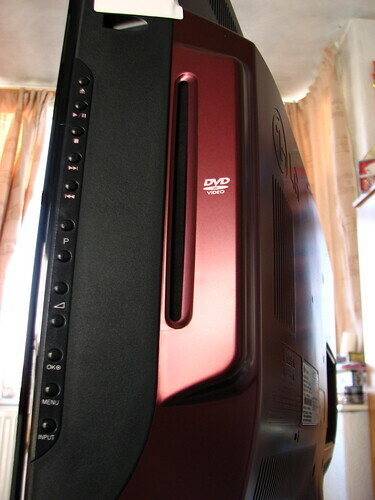 The slot loading DVD player will playback the full range of DVD writeable media and will also upscale your flicks to 720p quality. 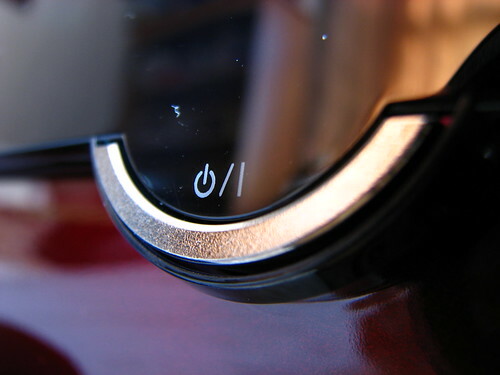 With the built-in digital tuner you can be ready for the UK digital switch off which is due to be completed in a few years time in 2012. The tuner will give you full access to the 30+ channels available free over the air as part of your TV license fee. 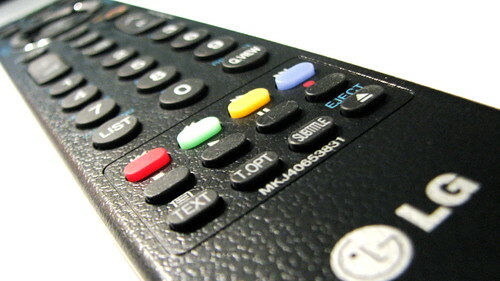 The remote is fairly standard and follows the same layout as many of its other products with the black finish and menu dial at the top. The slim design is a drastic change to the chunky grey remotes they used to ship. The 26LG4000 is unlikely to make it in to many communal rooms where more than one person will be watching, but the set did more than prove itself when I hooked up the 360 for a bout or two on Need for Speed and Halo 3. The refresh rate at 6.5 ms more than copes with fast moving action without making you feel queasy from motion sickness whilst the 8000:1 contrast ratio brought out the colours in movies such as Iron Man and Wall-E.
Whilst on the surface of it, the LG looks and performs just as well as many of the other alternatives on the market today, the 26LG4000 packs all of the connectivity options that you can possibly need. The three HDMI connections will ensure that it gives you plenty of room for adding more ‘boxes’ as the connection option becomes more mainstream. I also like how LG have included the upscaling DVD player and Freeview tuner, making this perfect for the bedroom. Whilst those two technologies are cheap enough to buy, it’s the convenience of not having to connect up two boxes and the associated power and cabling that comes with it. You can pick one of these up for less than £400 last time I checked. There are cheaper 26-inch LCDs available, but none which come with so much on the ‘spec’ sheet. Nice set! Like the red on black. Picked one up today for my bedroom! well pleased with it so far hooked it up to my sky box picture quality superb for LCD, colours just right, as for the DVD player well thats the finishing touch tested it out with War of the Worlds and have to admit the picture quality matched my Panasonic plasma downstairs.